Yes, you've heard it right! With lots of whereabouts and rumors to when will the 45th SM Supermall open here in General Santos City... The leading Mall Operator in Asia is living its Mission to be an employer of choice, offering comprehensive opportunities for career growth and enhancement by releasing its Job Vacancies as of May 2012. The position holder shall provide administrative and clerical support to the Global Pinoy Center which shall cater to the service requirements of balikbayans, OFWs and their families. We hope you can help us spread the news to your friends. 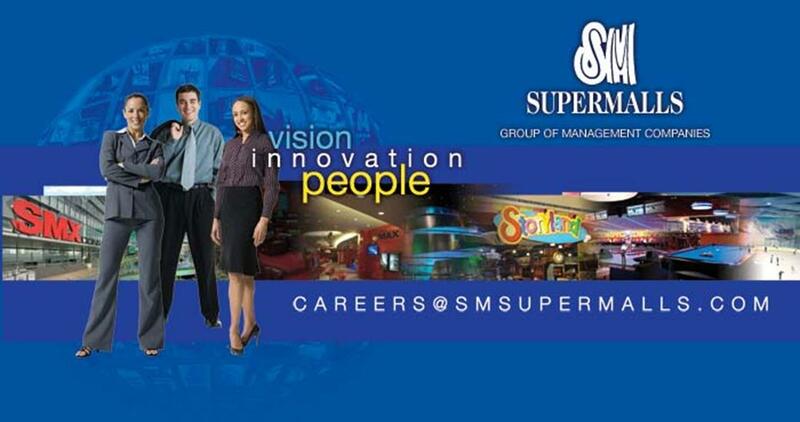 Be part of the growing family of SM City General Santos!